Cookies are simple text files which are stored in the browser a user’s computer. They are widely used by most websites to improve users’ browsing experience and receive information about web traffic. Cookies cannot infect your computer with viruses or install malware. Cookies allow servers to collect certain information about users, for example, they can remember your username and password so you don’t have to log in every time you return to a page. There are several types of cookies that do different things. Cookies never contain personally identifiable information. They are totally anonymous so that the web page has no way of gathering your personal data by using cookies. You can configure browser’s settings to accept or reject cookies if you wish. Some cookies are strictly necessary to browse websites. Without them, some parts of our website may not work properly. These cookies do not store information about your activity. These cookies are not essential for the proper navigation, but they do help you to browse and make it easy for you to gather information. These cookies are used to remember your preferences on our web page, enhancing your browsing experience. They store information about the choices you make and allow you to customise the website according to your individual needs. They also mean that you don’t have to re-enter information every time you come back to our web sites. These cookies are used to monitor the general use made of our website. ETL STEUERBERATUNG SPANIEN uses Google Analytics Google Inc., which registers the number of page views, visits and unique users, among other data. The data gathered are used to analyse how you came to ETL STEUERBERATUNG SPANIEN, the number of returning users, the most frequently visited pages, etc. This information is acquired through the users’ IP address, which does enable any personal identification and is not shared with third parties. The data gathered help ETL STEUERBERATUNG SPANIEN to understand which sections and information are of most interest to the public, in order to offer a better service. DoubleClick by Google: Google advertising cookies are used to study the audience by obtaining information about your browsing, collecting data anonymously, to enable us to offer browsing-based advertising. What kinds of cookies does ETL STEUERBERATUNG SPANIEN use? These cookies are stored by ETL STEUERBERATUNG SPANIEN. They are used to save the preferences of users of pages belonging to ETL. These cookies are stored by services other than ETL STEUERBERATUNG SPANIEN. Different cookies have different expiration dates. Some are weekly (e.g., pop-up ads), some have a longer life (web page performance control). Disabling cookies may affect the optimal browsing of our web site, as some functionality will be disabled. Registered users have to re-enter the information with each visit and pop-up ads may also be displayed. The ETL STEUERBERATUNG SPANIEN may be updated. 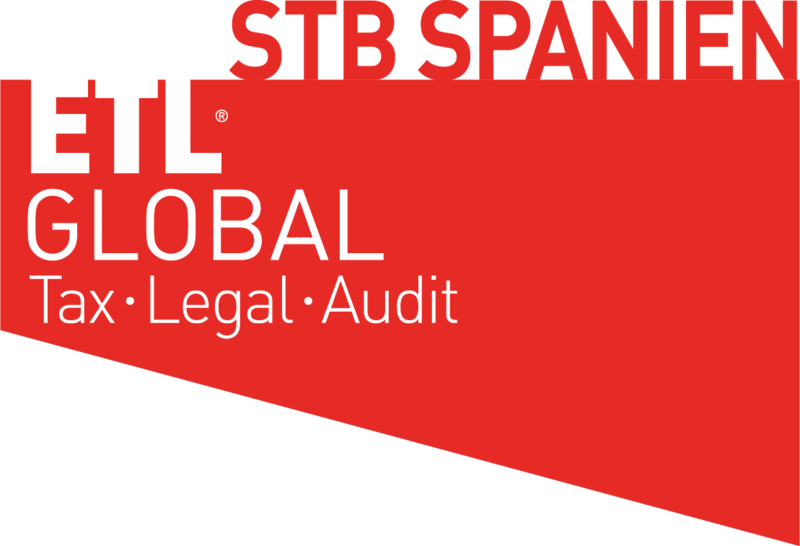 ETL STEUERBERATUNG SPANIEN advise users to check this policy when possible. ETL does not send mass emails or “spam”. Spam consists of sending unwanted e-mails, usually marketing messages, in large numbers and repeatedly to individuals with whom the sender has had no previous contact or who do not wish to receive such messages. Users can set preferences about the ads that Google displays to them through the Google Ad Preferences page or choose not to participate in the advertisement network by changing their cookies’ settings. ETL STEUERBERATUNG SPANIEN loads IP addresses on the website, or the location of your computer on the Internet, to optimise management of the system and avoid potential problems. We do not use the records of IP addresses to track your session or your behaviour on this website. IP addresses are used to gather general information about web traffic. We will never identify individual users through your IP addresses.